Female, male, person with a disability, lesbian or gay, member of an ethnic minority, parent, know anyone in any of those categories? That’s you all covered so. 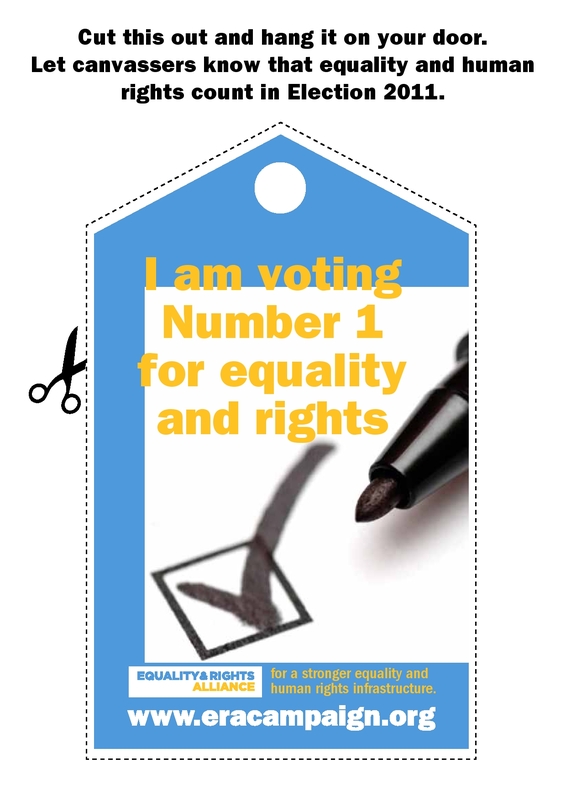 Go here, print, cut out, put in your window or beside the front door so that when the candidates come knocking you will remember to ask them about their committment to equality and human rights in all their policies. 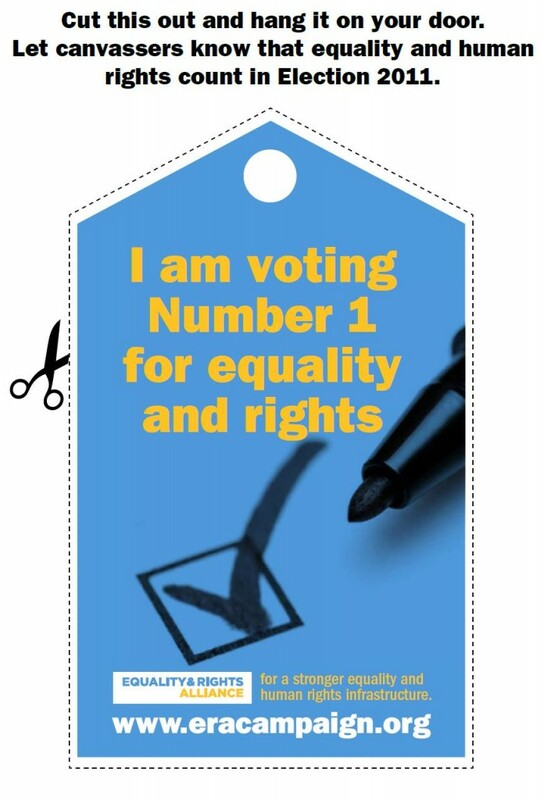 This is part of the Equality and Rights Alliance campaign I mentioned last week. Posters and avatars are also available in addition to the door hanger. You could also report the reactions to the challenges to candidates by leaving comments below? By the way you could mention to FF and Green Party canvassers that they cut the budget of the Equality Authority by 43%, scrapped the Combat Poverty Agency, cut benefits and services for people with disabilities, parents, carers and that more children are living in poverty on their watch. But I’m sure you will have plenty to say yourselves.